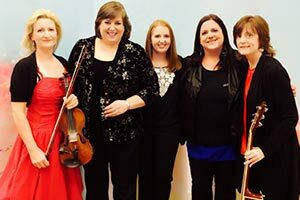 For 30 years, Cherish the Ladies has proven to live up to their multiple critical accolades and has become one of the most engaging ensembles in the history of Irish music. Under the leadership of the dynamic and irrepressible Joanie Madden on flutes and whistles, recently named one of the top 25 most influential Irish Americans of the past quarter century, Cherish the Ladies has grown from a one-time concert concept to an Irish traditional music sensation and is the most successful and sought after Irish-American group in Celtic music. TICKETS: $35/32/25. CHILDREN UNDER 17: $18.